Microsoft has made a few recent announcements for Windows 8, including an upgraded price that’s going to go into effect starting starting February first. However, Redmond’s price increase may backfire, as PC makers aren’t delighted with the way their latest OS has performed so far. Acer’s CEO Jim Wong, talking to Bloomberg in an interview, said that Windows 8 is still not successful, as the PC market didn’t see any recovery after its general availability back in October, which is a simple way to judge its success. The Taiwanese company’s CEO, however, was impressed with the way Chromebooks have performed in the U.S. Acer itself released Chromebooks for $199 in November last year, and they now account for 5 to 10 percent of the company’s shipments in the U.S market. He added that the figures are encouraging, considering the marketing and promotions were as not far-fetched as Windows 8. Windows 8 shipments dropped in the fourth quarter of 2012 as compared to the previous year. Microsoft has spent $1.5 billion on marketing Windows 8, according to a report by Forbes, and PC makers were expecting a revival of PC sales with the efforts made. ZDNet’s Larry Dignan doesn’t agree with Wong, stating the OS was been introduced at the time where the demand shifted towards tablets, and expecting Windows 8 to pick up PC sales in unreasonable. 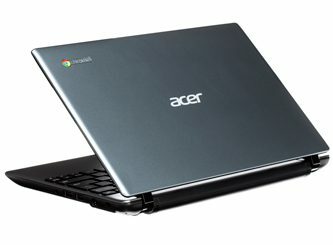 Despite Chromebooks experiencing an increase in shipments, it’s not a replacement for Windows 8. Desktop apps won’t function on the device. Furthermore, Wong provided the figure for shipments, without mentioning how many units were actually sold. The good news is that Acer will continue to introduce budgeted variants of their laptops. Microsoft will have to take note and respond, but with the whole market moving towards post PC gadgets, including Acer, they may eventually drop their efforts for the PC market and focus on next-generation gadgets. Feel free to comment on the story.